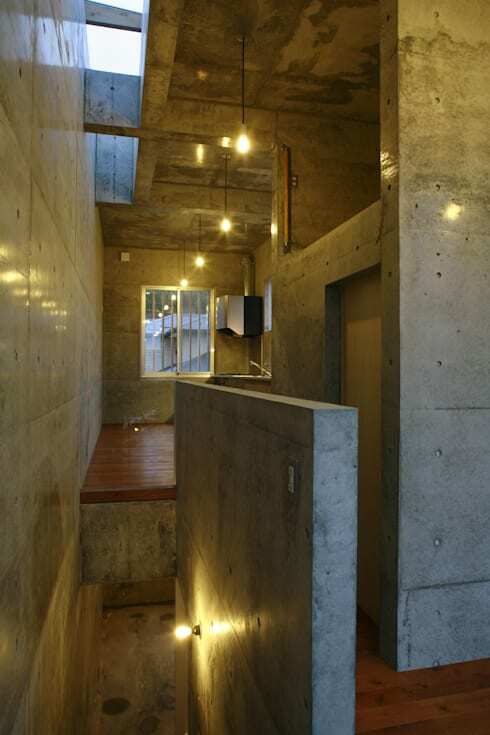 The extreme skill and imagination with which certain Japanese architects have managed to realise their respective visions of a contemporary breed of brutalism is an inspiring phenomenon indeed. It’s a visual movement that has clear roots in the strong, simple aesthetic that has dominated so many different aspects of the country’s artistic culture throughout its history. 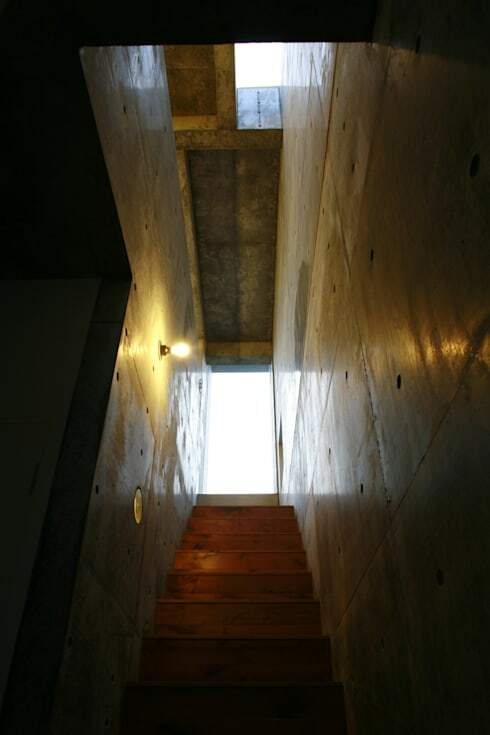 This dramatic house in Shimane Prefecture, from the mind of architect Shirane Hiroki, is a perfect example of how pronounced the influence of history can be on even the most modern of buildings. 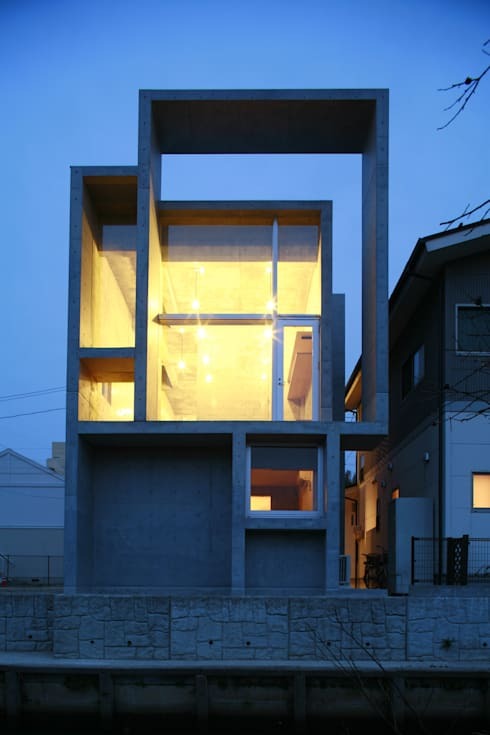 It’s easy to look at this spectacular structure and see reflections of the striking linear simplicity of traditional Japanese paper houses and sliding doors. The overlapping cement squares and rectangles that make up the building’s unique exterior are more immediately reminiscent of a piece of abstract art than of a house. And indeed, there’s no denying that this building really is a work of art. If the amount of glass used in the street side of this house and the amount of glass used here were averaged out, we might have something approaching a normal level of window coverage for the whole of this building. 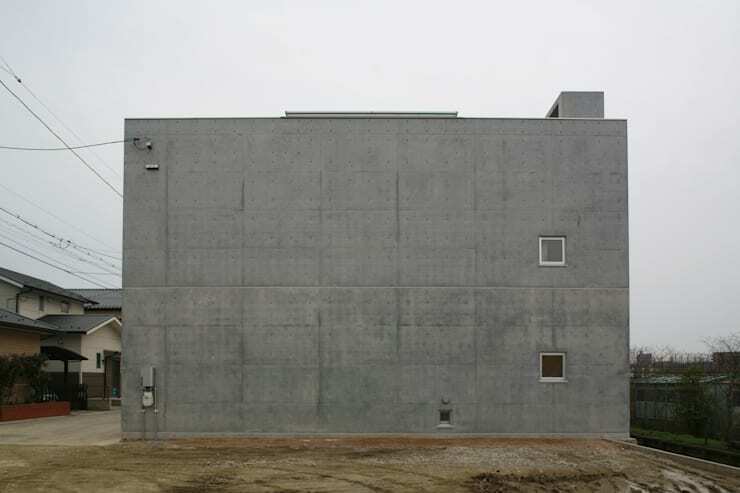 The vast concrete expanse of the wall is punctuated only by those two tiny windows, like watchful eyes. From this angle none of the intricacies of the street view are on display; this is brutalism in its most brutal form. Every side of this building reveals a fresh and unexpected facet to its character. Looking at this view of the house, you could easily fail to realise that it is part of the same structure as the other two views we’ve already seen. The thin, blind-like strips of wood that cover parts of the exterior walls – seen nowhere else on the building – disrupt light on its way both into and out of the windows, resulting in a strangely blurred effect. 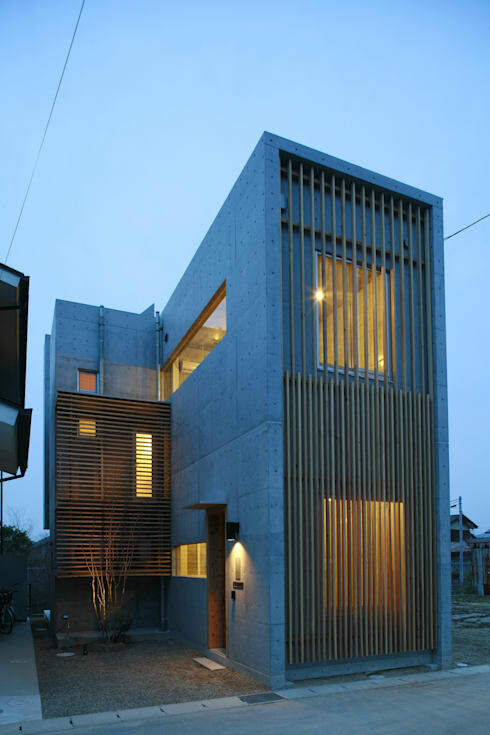 Again, the echoes of traditional Japanese architecture are very clear here. As well as the unique aesthetic this feature brings to the building, it serves a practical purpose too, shielding those large windows and preserving the privacy of the residents within. If anyone ever ventured to argue that this building was insufficiently impressive, allowing them to see it by night would quickly silence them. Not everyone approves of using exposed cement on the inside of a house. For many people, it is too raw, too construction-site-like, too unfinished. But for others, that’s exactly the desired effect. There’s no denying that when it works, it works brilliantly; and there’s no denying that this is one of those instances. 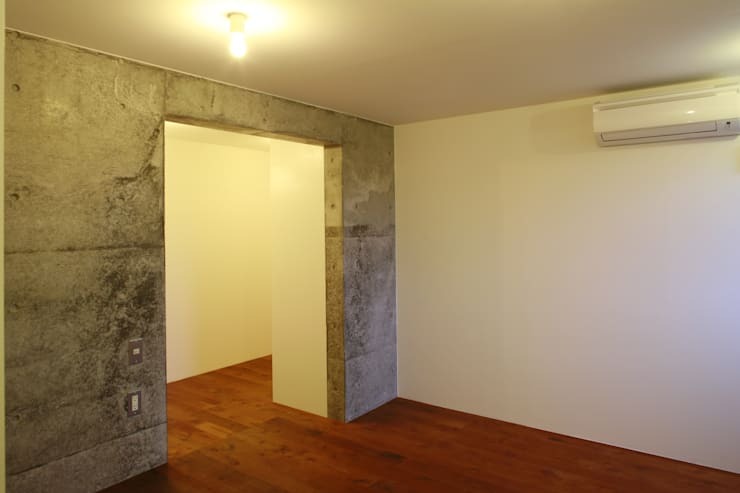 The beautiful wood floors and the use f white paint on certain walls aids the overall sense that, despite all that concrete, this is a room that really is completed. Claustrophobic staircases play with some of the prison-like images conjured up by bare cement walls. Here though, there is an escape; into one gorgeously unrefined concrete room after another and the street outside, where that stunning view of the house’s exterior awaits. The unpredictable but perfectly parallel lines of the outside surfaces of the house are reflected on the inside, where multiple corners, twists and turns lead to a maze-like quality. 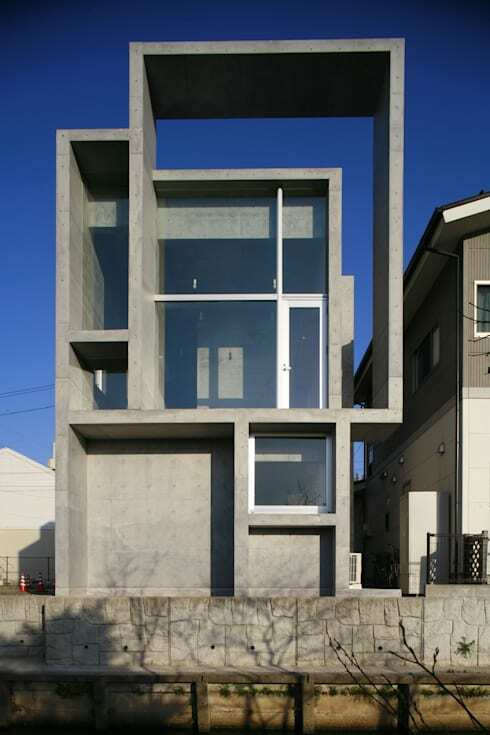 Could you live in a cement house like this one? Why or why not?